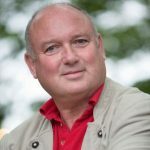 Join the internationally acclaimed novelist and poet, Louis de Bernieres who will be in conversation with radio and television presenter Matthew Stadlen. His much loved first novel, Captain Corelli’s Mandolin became a modern classic and was turned into a major Hollywood film. His latest book, So Much Life Left Over, is a breathless, often heart-tugging tale of love, loss, guilt and regret set in the 1920’s. He also has a new selection of short stories, Labels and Other Stories.